GUMSHOE One-2-One retunes, rebuilds and reenvisions the acclaimed GUMSHOE investigative rules set, as seen in such hit roleplaying games as Trail of Cthulhu and Night’s Black Agents, for one player and one GM. Together you create a story that evokes the classic solo protagonist mystery format. 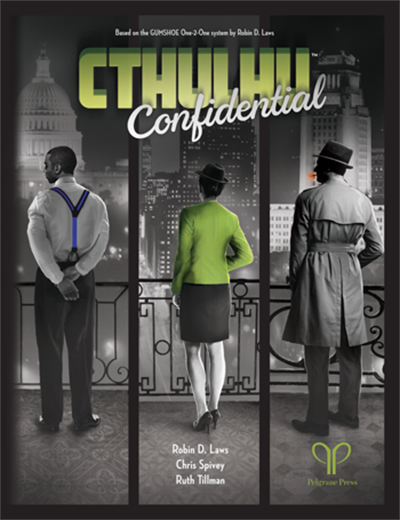 Cthulhu Confidential is available now in PDF format at the Flames Rising RPGNow Shop!